Asian Music, Vol. 4, No. 1, Near East-Turkestan Issue (1972), pp. 59-66. University of Texas Press. On June 21 and 22, 1972 at Al-Khuld Hall, the Iraqi National Symphony Orchestra closed its thirteenth season with a rather popular program consisting of works by Rossini, Mozart, Bizet and Johann Strauss. In addition, this orchestra of 66 players performed a lovely piece which recalled to a Japanese traveller's mind the fact that this was actually happening by the slow-moving waters of the Tigris. The piece was Abdul Wahab Bilal's "Sama‘i Lami" arranged for symphonic orchestra by Hans G. Mommer, the conductor. Western classical music is doubtless an important one among various kinds of musics practiced in Baghdad today. The traditional music of Iraq, however, seems to have been known abroad so far, more or less by the activity of the two celebrated ‘ud players and composers Salman Shukur and Jamil Bashir. 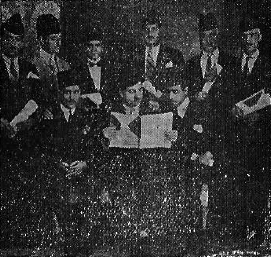 Both, at the start, studied classical music at the Institute of Fine Arts (Ma‘had al-funun al-jamila) in Baghdad with Turkish masters such as Sharif Muhiddin Haydar (in Turkey, Serif Muhiddin Targan) and Mas‘ud Jamil (in Turkish, Mesut Cemil), who were invited as visiting professors from Istanbul. Thus, we could trace their style back to Ottoman Turkish classical music at least in terms of musical lineage. However, this does not necessarily mean that they are champions of the Istanbul tradition in Baghdad. There is no doubt that they are Iraqi musicians and composers of new Iraqi music. In Iraq today, there are a number of musicians who sympathize with modern Egypt's music. As a matter of fact, the influence of Egyptian music seems most powerful in Baghdad, and it is obvious in large orchestras consisting of both Arab and Western instruments at the radio and television studios and in their musical style. Some of Iraqi musicians received their education in the U.A.R. and are now applying their technique to create a new national Iraqi music. Furthermore, an influx of Arab popular music imported from Cairo and Beirut is quite noticeable here. 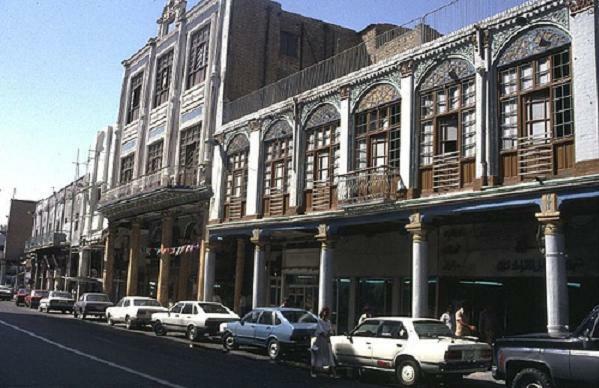 However, what is very frequently and impressively heard in downtown Baghdad, at bazaars, cinemas, teahouses and record shops, is the tunes called the Baghdadi Maqam (Al-Maqam al-Baghdadi). This appealing music seems to have formidable fans still today, in spite of the impact of foreign musics. And, after all, it must have covert influence on the new Iraqi music, for this is the most representative musical tradition of Iraq which, willy-nilly, touches the heartstrings of the Iraqi people. The Sama‘i Lami is an example of this tradition. This brief note is primarily intended to remind readers of the existence of the Baghdadi maqam, or, in more generic term, the Iraqi (vocal) maqam in a corner of West Asia. So far little attention has been paid to this unique musical tradition of Iraq. Perhaps it has been simply overlooked by professional musicologists who tend to consider the traditional music of Iraq merely as a tributary of Eastern Arab music or a branch of Ottoman Turkish music. 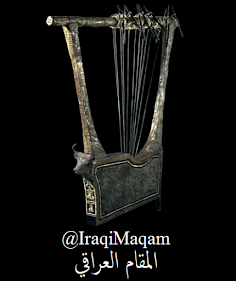 This does not necessarily imply that the Iraqi maqam has not yet been properly introduced abroad in the past. For instance, at the Congress of Arab Music held at Cairo in 1932, Iraq was represented by Muhammad Al-Qubbanchi, a celebrated singer of the Iraqi maqam, and six accompanying instrumentalists. Henry G. Farmer who attended their concert writes: ".. .the present writer heard an Iraqi orchestra (takht) performing its indigenous music in a way which suggested a renascence of the glorious past...." (Farmer 1954:532). However, in the article, Farmer never mentions specifically the term al-maqam al-'iraqi. Whether it sounded like the legacy of the glorious Abbasid Empire or not, what Al-Qubbanchi sang was the Iraqi maqam. 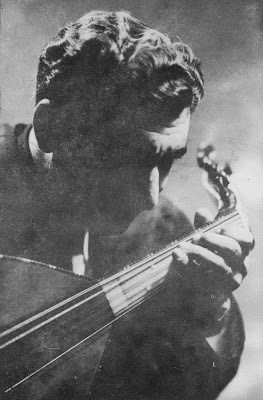 On the occasion of the International Conference for Arab music held in 1964 at Baghdad, the home of the Iraqi maqam, the exquisite maqam singer Al-Qubbanchi gave a public performance. At the same time, a few lectures on the Iraqi maqam were given. If the proceedings of this conference had been published widely in Western languages, the Iraqi maqam might have by now attracted the attention of ethnomusicologists who avariciously seek untapped territory. Recently, at the Asian Music Rostrum in 1971, a performance of "Urfa", one of the Iraqi maqams, by Abdul Rahman Khidhir, singer, accompanied by three instrumentalists at Radio Baghdad, was considered "excellent" and ranked in the "recommended" entry. The main reason why I took special notice of the Iraqi maqam is for the sake of comparison with the kindred vocal traditions in West Asia, particularly with the Persian avaz the Azerbaijan mugham and the Turkish gazel which seem to me very closely related to one another. In the Iraqi maqam, certain maqamat are supposed to be sung with classical Arabic verses, whereas another type of maqamat is devoted to folk verses. The former type of maqamat amounts to 41, according to AI-Wardi, including all the principal maqamat, while the latter includes 25. As indicated in the list shown above, quite a few names of the Iraqi maqam are identical to those in the Persian avaz, or dastgah and also to those in the Turkish makam. Many of the Iraqi maqamat sung with classical verses are found both in the Persian and the Turkish traditions. In particular those which are found only in the Iraqi maqam and in the Persian avaz (gusheh) such as Mukhalaf (Persian Mokhalef), Mansuri, Dashti, Awshar (Afshari), Bakhtiyari (Bakhtiyar) and Mathnawi (Masnavi), should be noted in order to see how closely the two traditions are related to each other. 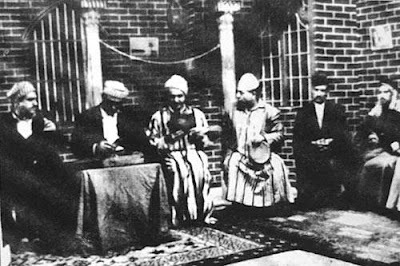 A distinguishing trait in the Iraqi maqam is that each maqam has special vocables for vocal introduction called tahrir.4 In other words, tahrir should be sung in vocables peculiar to the maqam: for example, in the maqam Sigah it should be sung with "Lilay, lilay... ."; in Ibrahimi it is sung with "Owh, khayi... "; in Rast, with "Yar, yar.. . "; in Nawa, Humayun and Dashti, it is sung with "Aman, aman... "; whereas in the maqamat Bayat and Hijaz, the tahrir should be sung with the words "Faryad-e men,..." and so forth. (Al-Rajab 1961:105-58). Another feature of the Iraqi maqam is that each maqam should be sung at a special pitch level. "If it is sung higher or lower, then it loses the most characteristic part of it." When "the pitch of the maqam Sigah is raised, we have on our hands a new maqam which is called Awj. "(Al-Rajab 1961:6-7) Moreover, two maqams which share the same modal structure may be called by different names when the rhythm or the verse type customarily employed differs. Unlike the Turkish makam, which is distinguished exclusively in terms of its modal structure, the Iraqi maqam may also feature a definite rhythmic character. This happens among the Persian gusheha as well. Performance practice of the Iraqi maqam also closely resembles that of the Persian avaz. A solo vocalist called mughanni is accompanied by a small chamber orchestra consisting of the santur (dulcimer), the jawza (or kamanja, kamana al-baqhdadiya: four-stringed fiddle made of coconut shell, or jawz), the tabla (or dunbug; goblet-shaped single-headed drum) and the riqq (or daff zanjari: tambourine). Sometimes the ‘ud, the qanun, the nay and the violin are included. However, these instruments are not considered integral, but rather later additions. The verse (shi'r) is then introduced in free rhythm. Usually two couplets (bayt) are sung at one time. The accompanying instruments may play soft short phrases following the vocal line, but in a free manner. This essential part of the maqam practice is equivalent to what is called "avaz" in Persian. Another muhasiba brings the singing to a breath pause. Then the second set of verses is sung. The third set and the fourth may be continued in similar way. Sometimes a set of popular folk verses called abudhiya may be inserted. In part of the muhasiba an instrument may play elaborate solo passages which closely resemble the chahar-mezrab in Persian practice. The term chahar-mezrab, however, does not exist in the Iraqi maqam. One could also mention the names of gusheha which are identical such as Sigah (Segah), Mukhalif (Mokhalef) and Mansuri. Musical terminology such as tahrir (introduction), meyana (the highest point) and tasIim (cadential passage leading back to the original maqam) correspond almost exactly to Persian daramad, owj and forud. In addition, a maqam performance is usually concluded with a pasta (or peste; ughniya), a song in fixed rhythm composed in the same maqam. This can be considered as an equivalent to Persian tasnif, though the term pasta (peste) is apparently derived from Turkish beste.6 In pasta at the end of maqam, an inspired audience may participate in singing. Usually the mughanni (soloist) sings couplets, whereas the madhhab (chorus) sings the reiterated refrain (lazima). 1. Al-Rajab gives Chahargah in place of 'Ajam 'Ushayran. (Al- Rajab 1961:5). 2. Al-Rajab says that there are about ninety subsidiary modes. (Al-Rajab 1961:6). 3. This number is left out from the list. 4. This tahrir should not be confused with Persian tahrir which is a special vocal technique employed in melismatic ornamentation. The tahrir in the Iraqi maqam is rather equivalent to Persian daramad. 5. According to Sha'ubi Ibrahim's illustration: personal communication, Baghdad, June 1972. 6. Beste itself is originally a Persian word. 7. I wish to express my gratitude to the following artists and scholars of Baghdad for their generous informations and hospi- tality during my short visit in summer of 1972: Messrs. Sha'ubi Ibrahim , Salman Shukur, Rawhi Al-Khammash, Jamil Bashir, Abdul Wahab Bilal, Hammoudi Al-Wardi, Ferid Allahwerdi, Jamil Hamoudi, Dr. Subhi Anwar Rashid and Cinucen Tanrikorur, a Turkish musician who was serving at the Institute of Iraqi Music Studies as a technical adviser. - Farmer, H. G. "Iraqian and Mesopotamian Music," in Grove's Dictionary of Music and Musicians, 5th ed. 1954, London: Macmillan. 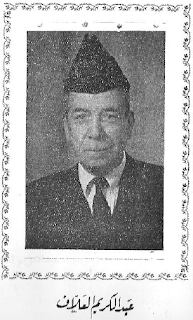 - Al-Rajab, Hashim M. Al-Maqam al-'Iraqi, 1961, Baghdad. - Al-Wardi, Hammoudi. 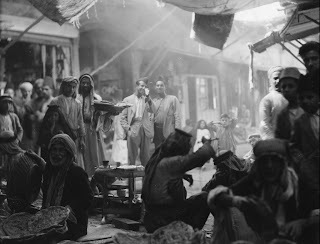 Al-Ghina al-'Iraqi, 1964, Baghdad. - Bilal, Abdul Wahab. 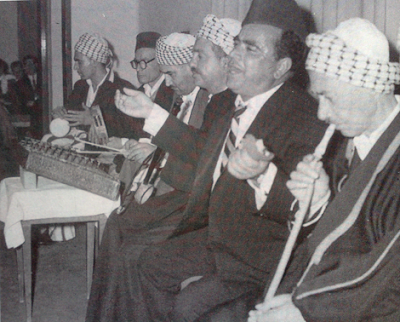 Al-Nagham al-Mubtakir fi al-Musiqa al-'Iraqiya wa al-'Arabiya, 1969, Baghdad. - Al-Hanafi, Al-Shaykh Jalal. 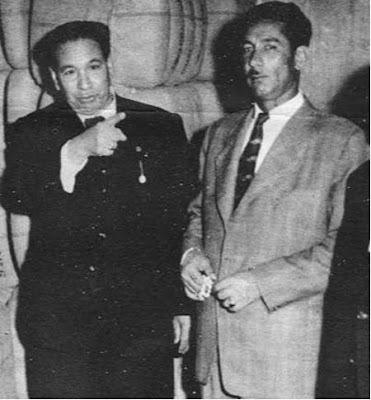 Al-Mughanun al-Baghdadiyun, 1964, Baghdad. - Ibrahim , Sha'ubi. Al-Maqamat, vol. 1. 1963, Baghdad. - Al-Wardi, Hammoudi. Maqam al-Mukhalaf, 1969, Baghdad. 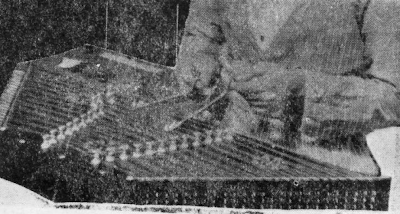 Concerning sound recordings of the Iraqi maqam, there are many 7" 45 rpm discs commercially available from Chakmakchiphon, Baghdad, of popular singers such as Muhammad Al-Qubbanchi, Nazim Al-Ghazali, Yusuf 'Umar and others. Excellent post. Congratulations. Maybe you could post something on the differences between Western and Middle Eastern music. I think your readers would appreciate that a lot. Thanks, Francisco, I will soon. To make it short, the main difference is the use of quarter and three quarter tones (in addition to whole and half tones) in Middle Eastern Music; whereas Western music only uses whole tones and half tones (either sharps or flats). That's why you have so many scales (or maqams) in Arabic music. I suggest you also check the site "Maqam World" on my sidebar and you'll get a pretty lengthy explanation. to Gen'ichi Tsuge, wih respect. you need supporting references for your paper and credits for the pictures placed there in. 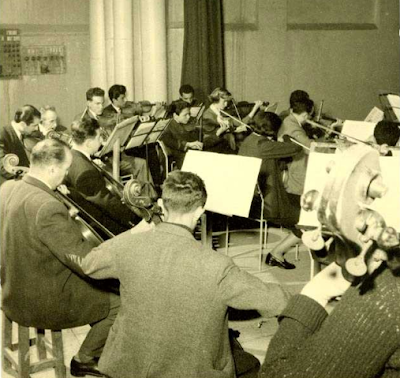 the first photo, for example, is personally mine, and am sitting to the left of the Cello section. so, I sincerely request Gen'ichi Tsuge to take into consideration these few remarks. Bassim Hanna Petros (ex member and co-founder of the Iraqi National Symphony Orchestra).